HAIKOU, April 13 (Xinhua) -- China's southernmost province is going to take on bigger roles in pushing the country's reform and opening-up as a rosy blueprint has been rolled out for the tropical island. Efforts will be made to turn Hainan Province into a pilot zone for deepening reform and opening-up on all fronts, a pilot national ecological zone, an international tourism and consumption center, and a major national strategic logistics zone. These grand goals were outlined Friday at a gathering celebrating the 30th anniversary of the founding of Hainan Province and the Hainan Special Economic Zone. Striving to become a new model for deepening reform and opening-up on all fronts and achieve a higher level in this regard is the best way to celebrate the province's 30th anniversary as well as one major move to mark the 40th anniversary of China's reform and opening-up, Chinese President Xi Jinping said at the gathering. China will develop Hainan into a vivid example of socialism with Chinese characteristics for a new era and make the island province an example for the nation, added Xi, also general secretary of the Communist Party of China (CPC) Central Committee and chairman of the Central Military Commission. As China's largest special economic zone, Hainan is going to integrate further with the global economy. Xi announced a decision by the CPC Central Committee to support developing of Hainan into a pilot free trade zone and support Hainan to gradually and steadily push ahead with the building of a free trade port with Chinese characteristics. A free trade port is the world's most open form of economic zone, which has brought prosperity to places like Singapore and Hong Kong thanks to its broad-based preferential policies on trade and investment. Hainan should focus on tourism, modern services, and high-tech sectors instead of intermediary trade and manufacturing, while efforts will be made to pilot more flexible policies and regulation mechanism to improve business environment, Xi pointed out. Xi also encouraged Hainan to conduct multi-level and multi-field cooperation with countries and regions along the Belt and Road and facilitate exchanges in culture, education, agriculture, and tourism. China welcomes investors worldwide to invest and start businesses in Hainan and participate in the building of a free trade port, thus sharing the country's development opportunities and outcomes of its reform, Xi said. Hainan should resolutely implement the new development concept to build a modernized economy and come to the forefront of promoting high-quality economic development, Xi pointed out. The Chinese economy has transitioned from a phase of rapid growth into a stage of high-quality development, according to the 19th CPC National Congress. The island should develop new-generation information technology and the digital economy and integrate the latest technologies like big data,Internet and artificial intelligence with the real economy, Xi said. Modern services including medical care and finance should be a major pillar of Hainan's economy, especially tourism, as being an international tourism destination is drawcard of Hainan. To develop the island into an international tourism and consumption center, China plans to make the offshore duty-free shopping policy in Hainan to cover all outbound tourists. Currently Hainan has two duty-free shops, with one in the provincial capital of Haikou and the other in the resort city of Sanya on the southern tip of the island. Hainan also should make full use of its unique resources to develop tropical agriculture and the maritime economy, Xi added. Xi stressed that all the above developments should be green to make the tropical island a garden for the country throughout the year. The CPC Central Committee has decided to support the province to build a national ecological development pilot zone, with the strictest ecological and environmental protection mechanism and a modern regulation mechanism. It will take global talent to see these ambitions come true and the province is encouraged to attract high-quality education resources and international professionals. Technical personnel and those with professional skills from foreign countries as well as those from Hong Kong, Macao, and Taiwan, will be allowed to work and apply for permanent residence permits in Hainan. Meanwhile, overseas students with master's degrees or above from Chinese universities will be allowed to work or start businesses in Hainan, Xi said. Xi also called for support for the province to establish management systems for recruitment of high-tech personnel from overseas and develop a more open mechanism in this regard. 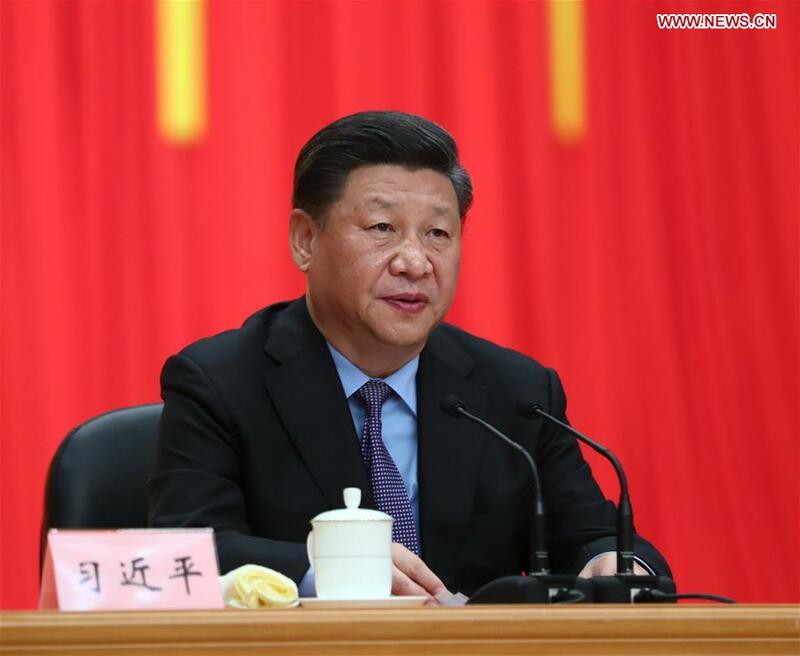 Xi urged local officials to take a long-term vision and devote themselves to achieving these goals. "All great achievements are made with continuous effort and all great causes are moved forward as we carry on from the the predecessors," Xi said.